Riesling Hour Around the World 8PM TONIGHT! Just got this in an e-mail from Finger Lakes Wine Country. I thought I would share it with you. I plan on taking part with a Finger Lakes Riesling that was made here on Long Island. 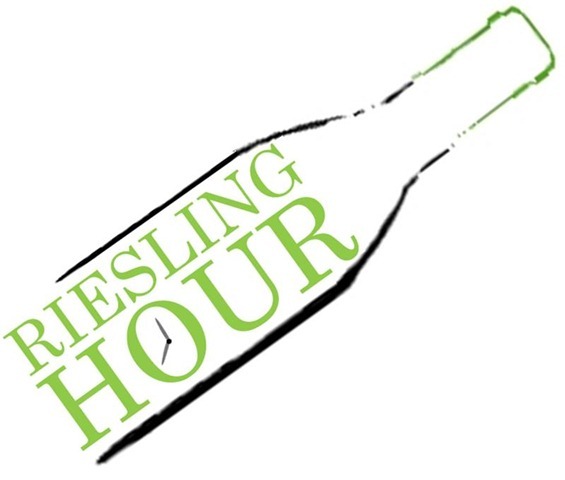 To celebrate Riesling Month in Finger Lakes Wine Country, we are taking the traditional "happy hour", adding the Finger Lakes touch, and calling it "Riesling Hour." Join thousands of Riesling enthusiasts from around the globe for a live Riesling Twitter and Facebook Tasting from your home or from Red Newt Cellars at 8 p.m. EST. If celebrating from your home, simply open up a bottle (or two) of Finger Lakes Riesling with friends or family, enjoy the wine (hopefully with a bit of food as well), and then tweet or Facebook about the experience. Share your thoughts on your wine, post pictures of your wine and food pairing on Facebook, or tweet with others (use #flxwine in your tweets) about their Riesling experience. OR join us live at Red Newt Cellars and Bistro on Seneca Lake in Finger Lakes Wine Country. At 8 .p.m. EST, Red Newt will host a group of Riesling aficionados to taste Rieslings and tweet and Facebook about the wines. Bring a bottle of your favorite Finger Lakes Riesling (from any FLX producer and vintage) to share, your laptop, and $10 to help cover the cost of food. If you are planning on attending at Red Newt send the winery a tweet AND RSVP on Facebook. If you are planning on joining us at home, please RSVP on Facebook. More about Riesling Month can be found at www.RieslingRocks.com. So obviously, I will not be at Red Newt, but I will be hanging out at Chateau Gorton in Rocky Point. This entry was posted in Finger Lake Region, Riesling. Bookmark the permalink.